With the enormous consumption of landscape by our civilisation, not only conservation areas, but also our gardens and open spaces have become the final refuges and safe havens for the endangered animal and plant world. 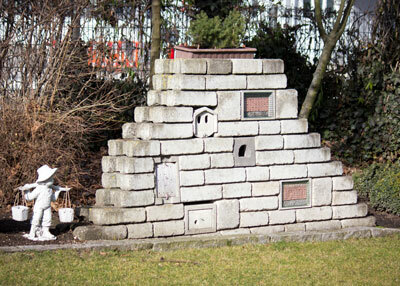 With a natural stone wall a wonderful habitat can be created in the garden for different animal and plant species. 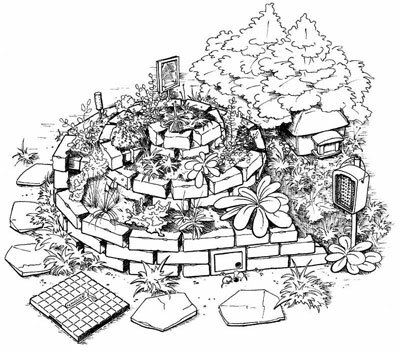 By combining the wall with SCHWEGLER products and suitable planting, an attractive and living refuges is created, e.g. for Insects, Small Mammals, Birds, and Lizards. A south-east orientation with free sunlight incidence is idea, although other positions also function at all times in order for an individual animal and plant world to settle. Suitable natural stones or concrete blocks can be found, for example, in building trade outlets, gardening and landscaping suppliers, etc. SCHWEGLER built-in elements can be easily integrated in structures, regardless of whether a wall, herb spiral or stone wall. Diverse installation ideas can be realised. 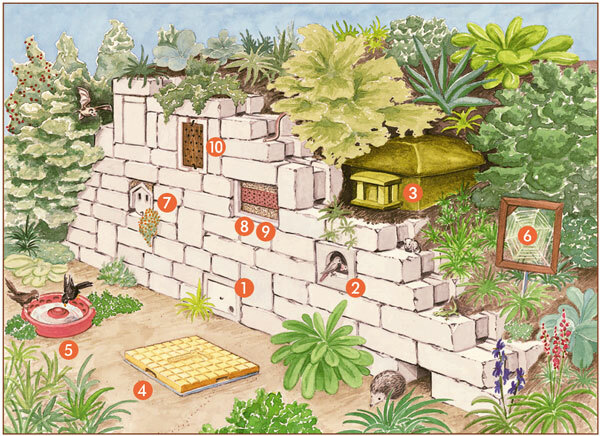 How about a living garage wall, wall sections as a garden element, retaining wall, herb spiral, raised bed wall, and, and, and …? Other products can also be installed in the wall area and can be integrated in the planting. For a living oasis on your property. Built-in modules and individual products for walls, spirals, etc. suitable for Small Mammals and Lizards, install near the ground. for rock shelter or niche breeders, attach as high as possible. Where there are lots of predators, for example, Cats, Martens, Magpies, Jays, Racoons, the block should be mounted very high in a protected position only or use our ➐ Niche Nesting Box (Order No. 704/9). Built-in module for rock shelter and niche breeders. 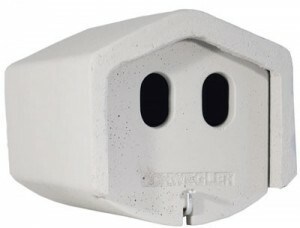 Due to the design of this box with double entry, the small predator protection integrated in the inside of the brood chamber is very effective. This type of box is safe against Magpies, Cats, Martens and Jays because, due to the penetrating brightness, the birds always build their nest in the rear area of the brood chamber insert. Another advantage of the brood chamber insert is that the parent birds can provide for their young from the antechamber. With Brood Chamber Insert and Reeds for side padding in the masonry wall. Occupants: Black and Common Redstarts, Robins, Wrens, Tree and House Sparrows. External dimensions: W 20 x H 20 x D 30 cm. Brood chamber inside: W 15 x D 21 cm. Entrance hole size: 30 x 50 mm. 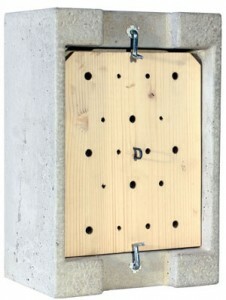 Material: Nest box made of SCHWEGLER wood-concrete, brood chamber insert made of wood. 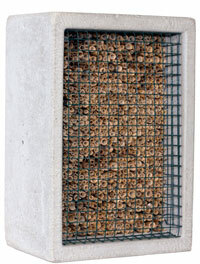 Nest boxes made of natural reeds are inserted into a carcass made of heat storing SCHWEGLER wood-concrete. We purchase our reeds from controlled European regions without exhaustive cultivation and insecticides. The solid construction minimises temperature fluctuations and is extremely breathable. Dimensions: Carcass W 21.5 x H 30 x D 12 cm. Front panel removable, as with Insect House; attach in very sunny places. Dimensions: W 20 x H 30 x D 15 cm.